How can games and digital technology make an impact in menstrual hygiene awareness? Here are profiles of organizations looking at creative ways to spread awareness about menstrual hygiene! 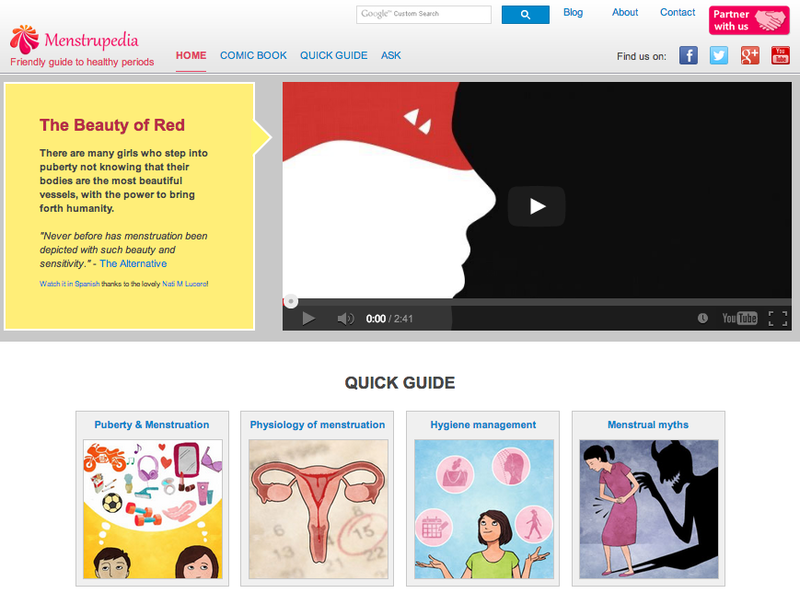 Menstrupedia is an online portal which aims to spread awareness about menstruation and shatter myths and misunderstanding around the subject considered taboo in India. Menstrupedia is releasing a comic book which will guide girls about their changing bodies and menstruation using stories adapted from real life situations. The organization hopes the comic will instill a positive attitude among its readers and free them from menstrual myths through storytelling, fun illustrations and informative content. Wash United is an international organization tackling the sanitation and hygiene crisis with fun and interactive gaming experiences. Wash United partnered with Quicksand to host “The Great WASH Yatra (Nirmal Bharat Yatra)”, a travelling carnival with exciting interactive games aimed to promote awareness and behavioural change around sanitation and hygiene. 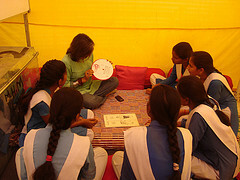 The Menstrual Hygiene Management Lab provides a safe space for women and girls to openly discuss about menstruation. They also had the opportunity to make their own sanitary napkins made of recycled cloth, ensuring that the women can continue to practise modern hygiene methods. The campaign travelled across 5 states in India in 2012 and reached 230 million people! The Project Inspire 2012 winners are harnessing the potential of mobile phones to increase awareness about menstrual hygiene in rural communities. “Maya’s 7 Day Challenge” is a mobile games designed to promote good menstrual hygiene and emphasize the importance of girls’ continuing to attend school when they start menstruating. The game will be launch in the New Year and will be a complementary tool to awareness campaigns conducted in rural villages.